Here are the Greek design items we wouldn't mind finding under our tree in 2018. Every year, we put together a Christmas gift list of select items produced in Greece – clothes, jewelry, souvenirs and more with enough style and value to deserve a place under the tree. A nice gift to buy in Greece is always a lucky charm. Greeks traditionally gift them at the end of a year, and they’re meant to bring good fortune, prosperity, and health in the next. While they’re usually based on ancient symbols (such as eyes to ward of the evil eye, or pomegranates for abundance), new designers take a more free approach to the concept, inventing their own symbols. We’ve included two charms in this year’s list, along with eight other design items (and one beauty product). And in keeping with the times you don’t actually have to hit the streets to obtain them – most objects included can also be shopped online. This way, you can get your shopping done in advance, and spend your free time in Greece doing nicer things. For tips on what to do in Athens in December, check out our Christmas guide to Athens 2018-19 here. Christina Soubli’s lucky charm for 2019 is made for the strong women who rule their own lives and make their own choices, and for those who need some motivation to do so. 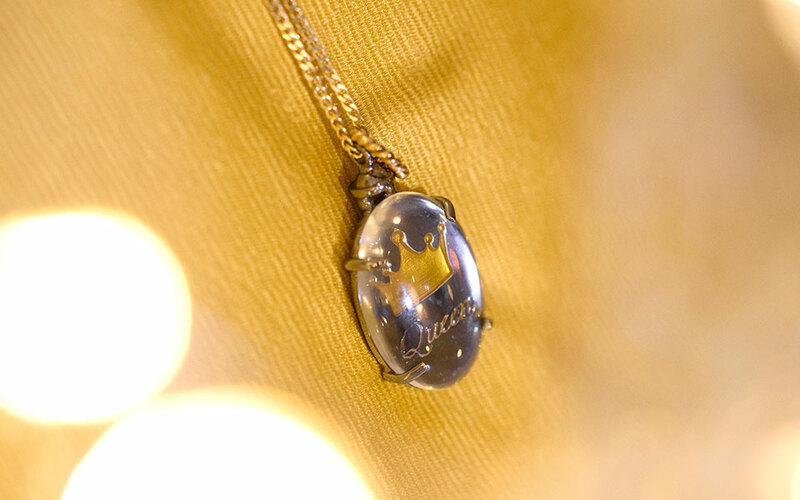 Named “Crown through a magnifying glass”, the necklace is 925 silver plated with black rhodium enamel and a 70 cm silver chain with 18k gold plating, and features a circle link with the designer’s signature filigree technique. Find it here. 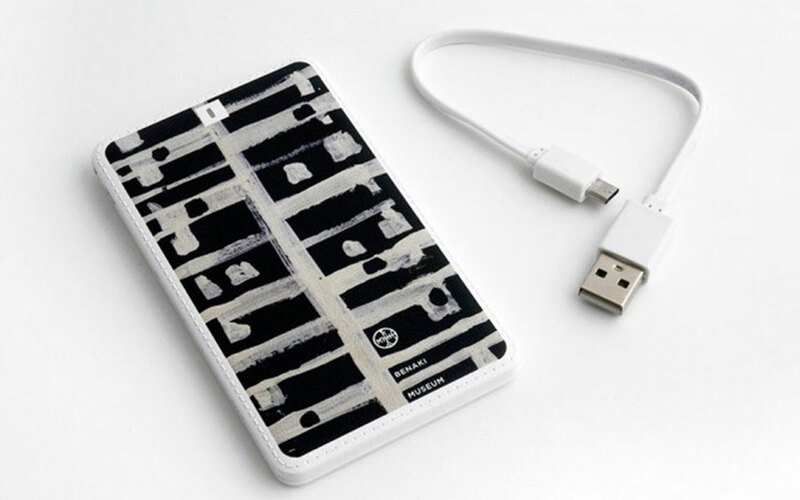 Made specially for the ongoing retrospective exhibition of the great Greek painter Yiannis Moralis at the Benaki Museum 138 Pireos Street Annexe (to January 5), this portable charger features a study by the artist from 1960. The perfect gift for any modern art lover whose heavy Instagram use regularly drains their battery, it comes with a USB and micro USB port, as well as a lightning adaptor. Find it here. This statement garment titled City on Top features a cutout of the city of Athens’ urban grid in the back. It’s available in lightweight scuba fabric or vegan leather (pictured), in a variety of colors. Be advised, you need to order this 2-3 weeks in advance. Find it here. Whether or not you believe in lucky charms, this one in silver from A. Leondarakis is definitely… charming. 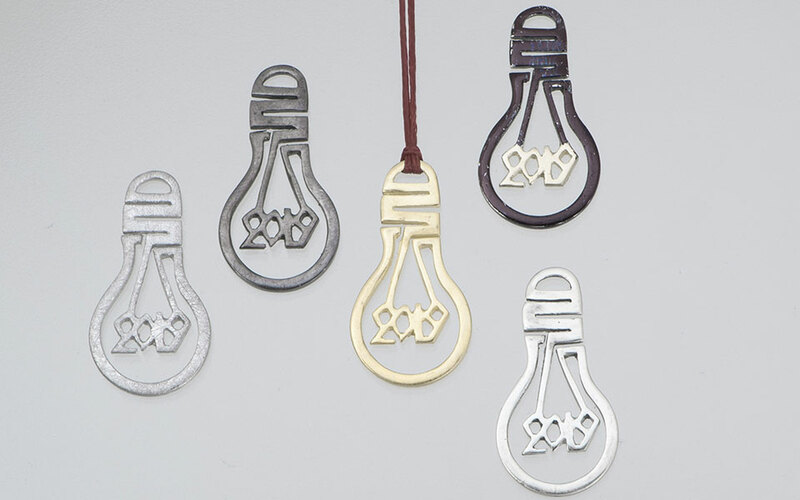 Symbolic of the light you wish to bring into your loved ones’ life during the new year, it can be added to a necklace, bracelet, or keychain. Find it (and browse other charms) here. For the environment-conscious family with kids, this gift will be a hit. The lodge can be painted and decorated by the kids themselves, and is easily folded and stored away when you need the floor space for other games. 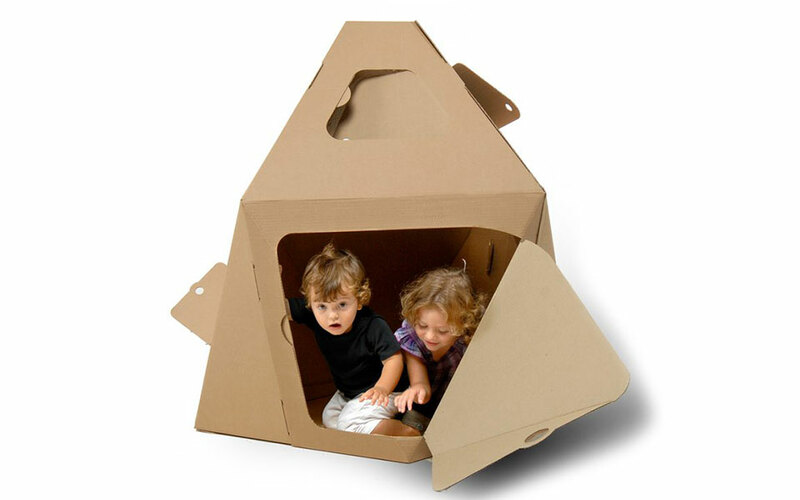 It’s made out of recyclable cardboard, free from chemical substances. Find it here. Sandals have always been a popular gift to bring home from Greece, but these are something more than the regular leather numbers you find at Monastiraki Square. 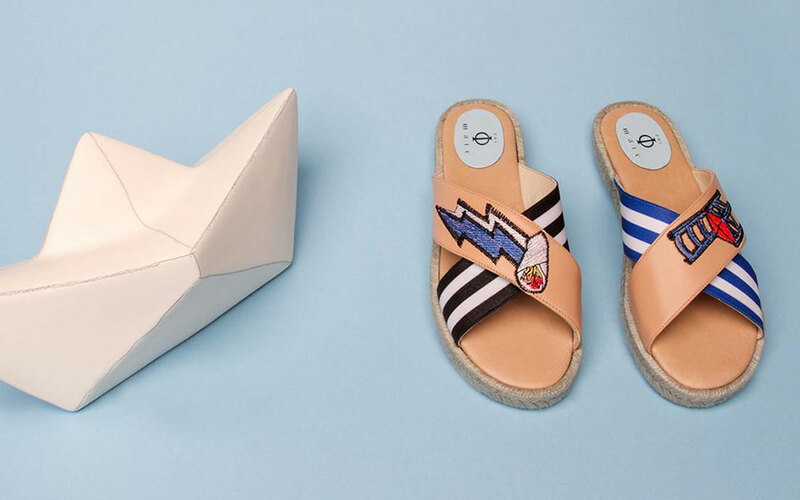 The sandals from Phi-Male, featuring espadrille soles and satin or leather straps embroidered with things like columns and souvlaki, are wonderfully quirky and – though she’ll likely have to wait a few months to wear them – the perfect gift for a fashionista. Find them here. 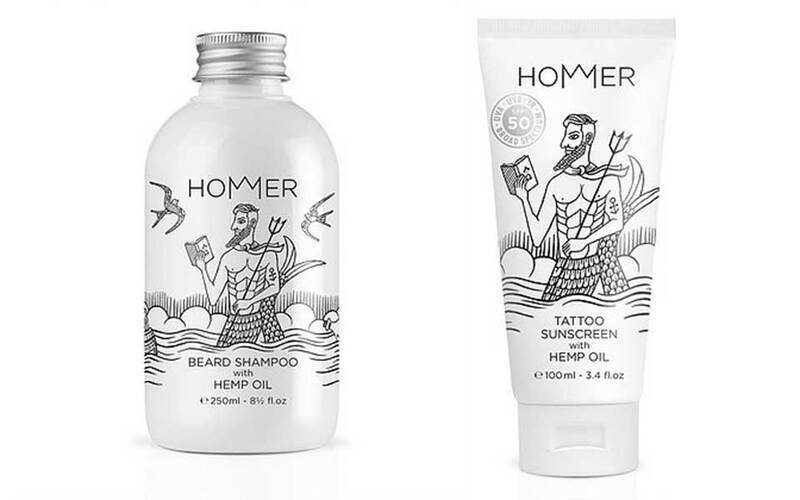 Products from Hommer make for fun, quirky gifts for your male hipster friends. Greeks were fast to embrace the beard trend when it came back (naturally, as they grow them thick), and products used to care for facial hair came with it. This brand also produces a sunscreen for tattooed skin. Big plus, the products are quite affordable, so you can easily put together a set if you want to spend more. Find them here. 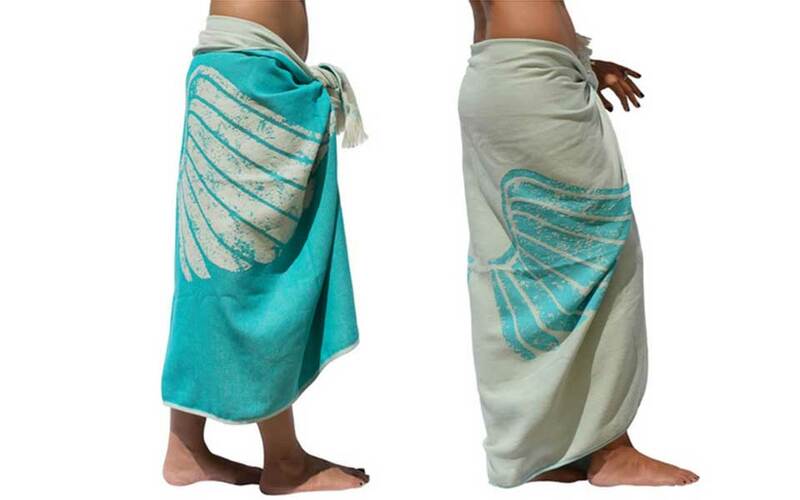 For those who usually travel to warm places in the winter months, a beach towel is a great gift. Design brand Dodeka creates t-shirts, hats, bags, beach towels and other accessories inspired by the 12 ancient Gods. Each god is represented with a symbol (a lightning bolt for Zeus, a crown for Hera, etc.) Pictured is a towel featuring the symbol for Hermes. Find it here. These nesting dolls from Heavy Baggage Design are as nice a gift for kids as for home design lovers. 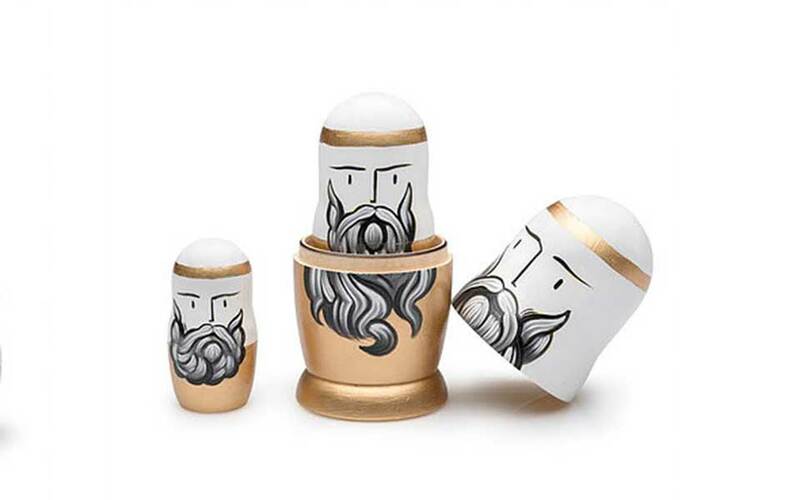 Made to represent Socrates, Plato and Aristoteles, and how one inspired the next, they’re more than a toy. Since they are hand painted, every set is unique. Find them here. 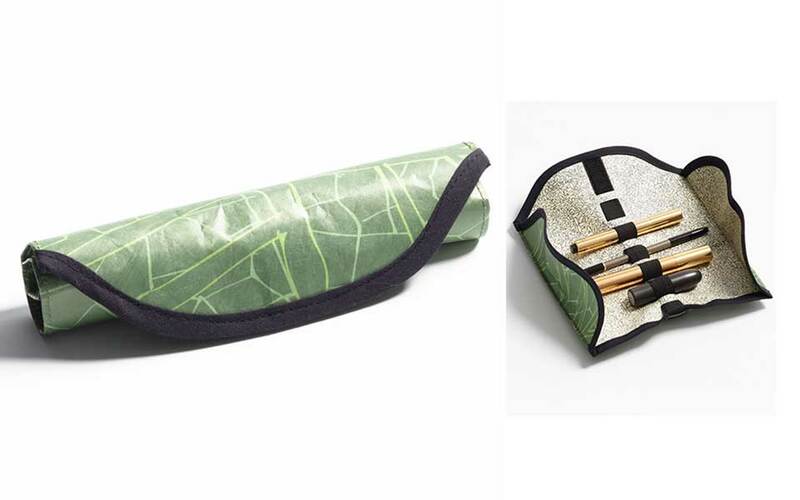 A cute multi-purpose rollup pouch inspired by the traditional dish dolmadakia (stuffed vine leaves), this can be used to carry makeup, art supplies, or even tools. It’s made out of practical, water-resistant Tyvek and velcro. Find it here.